Great news! 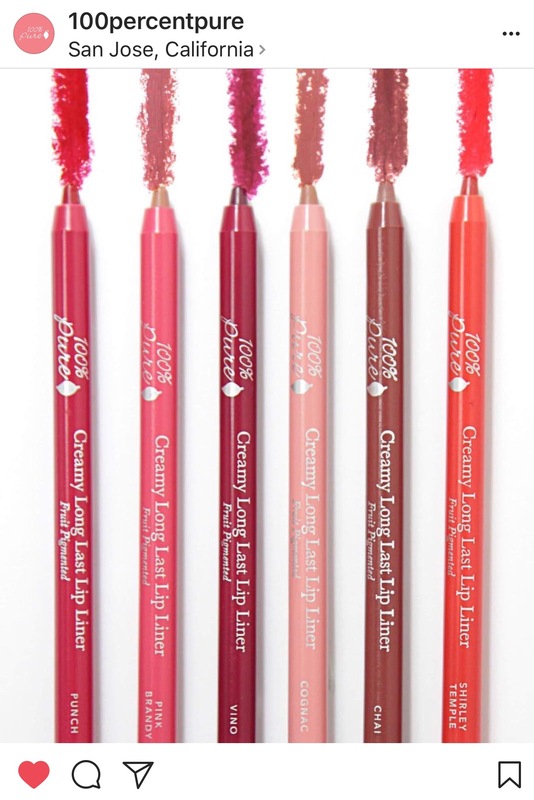 100 Percent Pure has released a line of lip liners! Yay! Finding a chemical free lip liner has not been an easy task. You can imagine my surprise when I found these in my inbox. Just look at the pretty colors. In addition to the big release the Pure beauty team gave us tips to lining. Here’s a few don’ts. While bigger can be better, full on exaggerating your lips (like Miranda Sings) won’t fool anyone. A little out of the natural lip lines will give you the illusion of plumper, fuller lips, but let’s just enhance our lips to a level of believability, not science fiction. We can appreciate your dedication to clean, perfect lines… but practicing around your lips is not the place. Blend, blend, blend. Save those perfectionist skills for your cat eye wings. Soft lines and edges will keep your lip liner looking natural and subtle. You’ll want a soft, rounded tip to achieve the perfect smooth lip pencil application. Sharp points will just create tight, intense lines.